Very nice Subaru Impreza Wagon AWD with LOW, LOW Miles!! Subaru's are by far THE most popular vehicles in Colorado and for good reason: All Wheel Drive, Reliability, Great gas mileage and still plenty of power. This one is in the beautiful Silver Ice metallic with Black Tricot cloth interior. Has full power pkg and Popular Pkg(Auto-dimming mirror w/Compass, Cargo tray, Almost new tires, Homelink, Aux input jack), Auto Headlights, pass through rear seat, CD player, Full Airbags, Traction Control, Rear spoiler, Dual shift transmission and much more!! 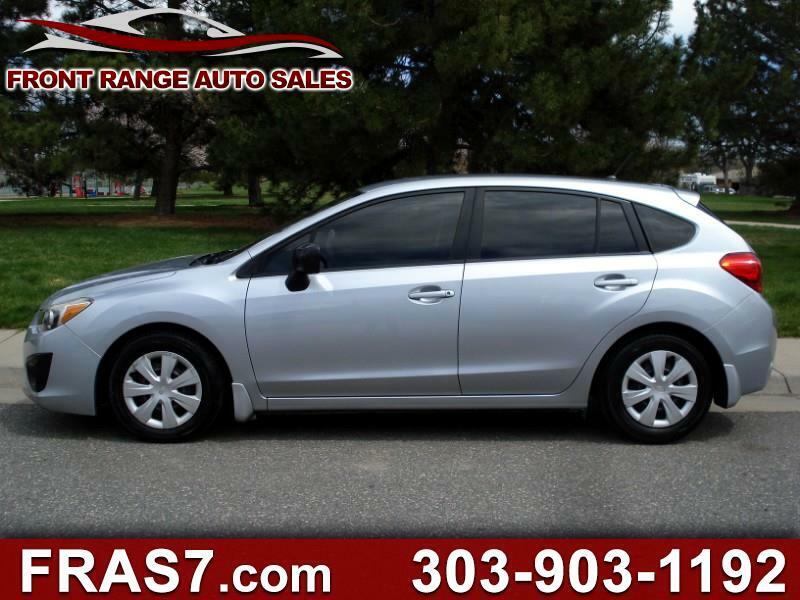 Great gas mileage, plenty of power and All Wheel Drive peace of mind! !